Origin Prickly pear is native to South America and Mexico. It is nutritious and edible cactus which is widely grown in Australia, South Africa, Southern Europe and Southwestern United States. Prickly pear is a member of the cactus family Cactaceae which is also known as prickly pear cactus and nopal. It could be found in Australia, Africa and Mediterranean. The oil is extracted by pressing the seeds which requires about eight tons of cactus fruit for making 1 liter of oil. It contains phytosterols, linoleic acid and Vitamin E. It helps to moisturize, nourish and protect the skin health. It has high content of tocopherols that helps balance cell membranes and protect the tissues of eyes, skin and breast. It has high content of tocopherols as well as omega 6-fatty acids that helps to maintain skin health. 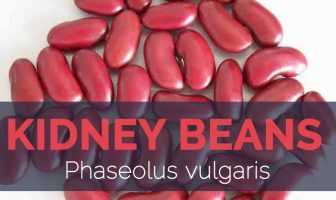 Due to its extractive method and enormous amounts of seeds, its cost is expensive. Prickly pear is native to South America and Mexico. It is nutritious and edible cactus which is widely grown in Australia, South Africa, Southern Europe and Southwestern United States. Though the origin of Prickly pear is uncertain, it is believed to have been originated from South American country Mexico. It was imported in 16th century from America. It could be found in semi-arid areas such as South America, South Asia, Southern Europe, Australia and islands with temperate climates. It was included in Global Invasive Species Database. Moreover, it has additional function to support cattle and people during famine and drought. Prickly pear was introduced to Northern Ethiopia for this purpose. Today, its plantation covers an estimated area of 350 hectares. It was a threat to both animals and plants. In recent years, it has been prized for the oil that could be derived from very small seeds found in the fruit named prickly pear. Prickly pear seed oil possesses anti-ageing properties. It is used for medicinal purposes in pharmaceutical laboratories. Prickly pear oil has essential fatty acids about 60% of Linoleic acid. It is easily absorbed into skin. It deeply penetrates the skin without leaving a greasy residue behind. Due to antioxidant activity, it stimulates the renewal of cells by providing fresh and new skin. It lowers hyper-pigmentation and redness. 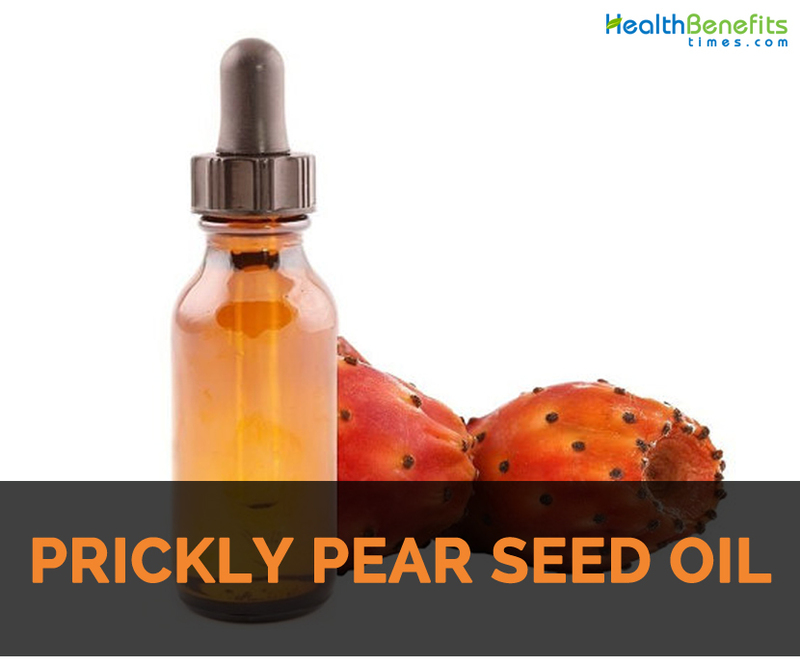 Prickly pear seed oil helps to hydrate skin and is helpful for mature and dry skin. The high content of linoleic acid calms the dehydrated skin by deeply penetrating it. Prickly pear oil has essential fatty acids that moistens the collagen layer of skin and makes the pores tight. Prickly pear oil helps to eliminate dark spots and also brighten the skin. It lightens dark circles under eyes and also lowers spider veins. It has high content of Betalains which are antioxidants having anti-aging effects. Prickly pear oil has ample amounts of Vitamin E that eliminates free radicals and assist to renew cells. It lowers wrinkles and adds firmness by preventing free radical damage. Being non-comedogenic and high content of linoleic acid and oleic acid, it won’t clog the pores as well as breakout. Prickly pear oil has soothing, deeply nourishing and non-irritating activity that helps to calm inflammation and also hydrates skin. It promotes the skin elasticity. It is used as a moisturizer that leaves the skin feeling soft. It is used to moisturize damaged and dry hair by restoring the health of cuticles and nails. It promotes regeneration of skin as well as its restructuring. It is helpful for damaged and mature skin. It lowers the appearance of fine lines, wrinkles, blemishes and scars. It assists in restoration of skin’s firmness, elasticity and moisture. It tightens the pores by making the smoother texture of skin. It lowers sagging under eyes. It treats rosacea, balances skin’s natural production of oils and soothes sunburn. It repairs scars and stretch marks. It helps to calm skin conditions such as eczema and psoriasis. Massage 1-3 drops of Prickly pear seed oil to the under eye circles, face and neck to brighten the complexion and promote rejuvenation. It slows down the aging activities and prevents the chances of premature wrinkles. One should consult the doctor for use. Do a patch test before use to know the reaction. Sensitive people might get allergic reaction with its use. Native Prickly pear is native to South America and Mexico. It is nutritious and edible cactus which is widely grown in Australia, South Africa, Southern Europe and Southwestern United States.